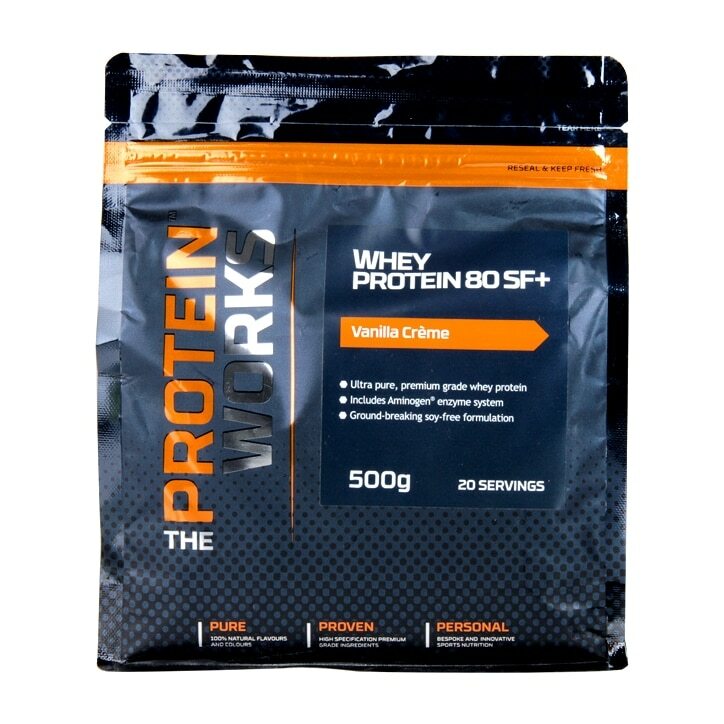 The Protein Works Whey Protein 80 SF+ Vanilla Creme is rated 5.0 out of 5 by 1. Rated 5 out of 5 by Wilf996 from Just right Tastes great, easy to mix and goes with porridge to lift the flavour perfectly. Other products get lumpy but not this one. It's easy to prepare and can't fault it.